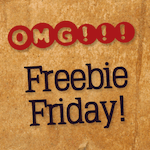 Freebie Friday “Olympians” Edition. Win a Free Redbox e-Gift Card! Every week, we offer our readers an opportunity to win free prizes. This week, on a special Super Saturday, we’re giving away a Redbox eGift card to a lucky winner! I, Tonya, the controversial new movie about the Tonya Harding Olympic scandal from the 90s, is hitting theaters this weekend. Between the movie’s release and the upcoming PyeongChang Winter Games happening next month, we thought it would be a great time to talk about our favorite Olympic movies! What is your favorite movie about the Olympics? Plenty of great choices, here, including Cool Runnings, Chariots of Fire, Miracles, Munich, Foxcatcher, Unbroken, The Cutting Edge, Eddie the Eagle, and many more. What’s your fave? Again, answer this week’s question simply by entering your email below, and then hit up the comments section and tell us your choice.